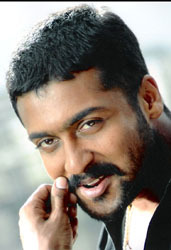 Tamil movies : Surya not for a take off!! Jilendru oru kadhal was creating lots of hype and expectations ever since its announcement. The director being a former assistant of Gowtham menon, music by A.R. Rahman and the pairing of Surya and Jothika added fuel to the fire. Then there was a set back when Asin announced that she was no longer in the project. She is said to be replaced by Bhoomika Chawla. The announcement that the muharat of the movie was to be held on an airplane had created a few ripples. However the shrewd business man in Surya made him decide against such an extravagance. What is the point in spending when the necessary hype has already been stirred? Vijay : What next after Puli? ?